When Dez Fafara announced DevilDriver was going on hiatus back in 2014, I felt it was the end of the band. Long-time band members were dropping off the roster like flies while Dez’s other band, Coal Chamber, was making a momentous comeback. 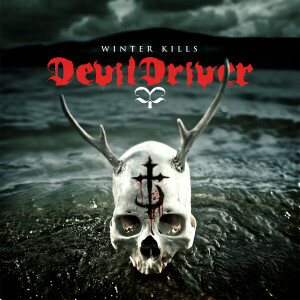 I was beginning to think Winer Kills was the last album we’d see from DevilDriver. But, that was not the case. With Mike Spreitzer being the remaining musician with any sort of tenure, they recruited Austin D’Amond, Neil Tiemann, and a bassist (Diego Ibarra – listed as touring bassist) and began working on new material in 2015. It was a short-lived hiatus and for DevilDriver fans, it’s a good thing because Trust No One takes DevilDriver in a slightly different direction than we are used to. Another Download Festival came and went…this year marking the 10th anniversary of the famed UK metal festival. Here is my review of my one-day pass for Sunday, 10 Jun 2012 with Black Sabbath headlining and closing the event. Before I talk about my day I want to note that this is most likely my last Download Festival for the foreseeable future. 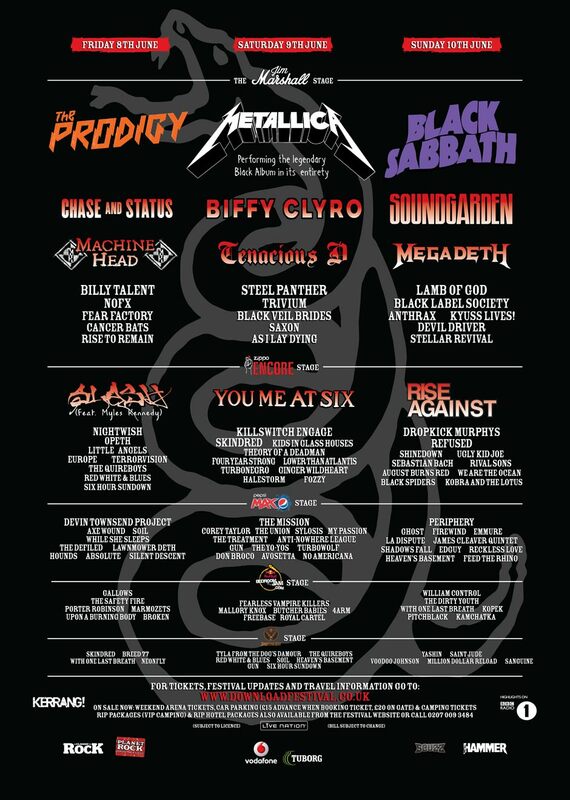 Later this year I will move back to the United States and if this is in fact the last Download Festival I ever see, I honestly couldn’t have asked for more out of a one-day ticket. The icing on the cake was the fact that it was sunny. As most of you are probably aware, Dez Fafara of DevilDriver used to sing in a band called Coal Chamber. I remember those days fondly and even saw Coal Chamber twice live. They were a good live show to say the least. Their videos are definitely quite unique; more than just standard unimaginative live sets. I came across this one for Loco which was off their self-titled album. I thought I would leave you with something interesting for your video of the week. I hope you have a great weekend. It was a hungry crowd at London’s Wembley Arena on 3 Dec 2011. Metal is what they wanted and metal is what they got. 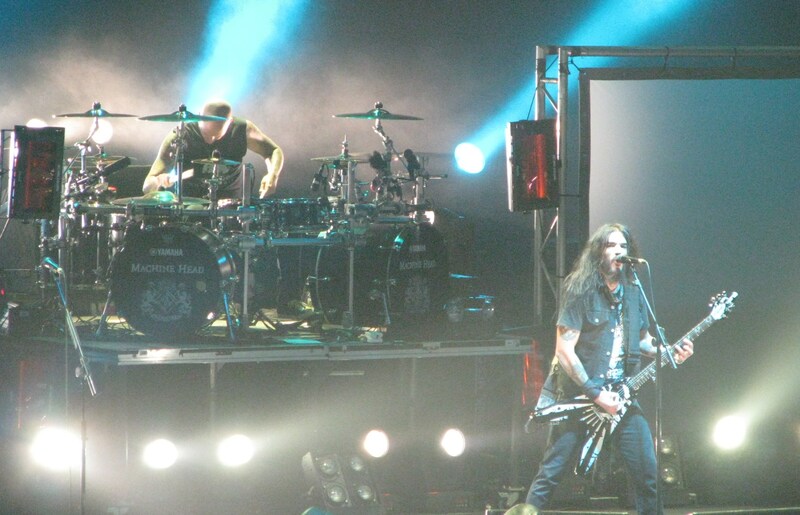 Machine Head with special guests Darkest Hour, DevilDriver, and Bring Me The Horizon brought an old and new style of metal to the London audience. Some of it was highly appreciated and some of it wasn’t. I will get to that later. I was happy to be part of the experience, though my ear drums are paying for it today and probably for the next few days. It was one of the loudest shows I have experienced in the last several years. This week, I am going to explore relationships within heavy metal. This is about how metal bands are basically tied together like a long list of cousins; some you know and some you don’t. Each metal band, in its own right, is not very far removed the metal band down the street. Starting with one of my Top-10 favorite bands, Machine Head, we’ll see how interconnected the metal world is. Ever heard of 6-degrees to Kevin Bacon? This is where this Themed Thursday is going. The heavy metal drummer is the official timekeeper of the band. Often taking a back seat (literally) to the glitz and glam of the lead singer and guitarists, the drummer has perhaps the most difficult job…especially in metal. First of all, they have to use all four limbs in rapid succession. They must also use said limbs in an orderly fashion of some sort both of which require countless hours of practice and dedication. An indirect benefit of being a drummer is that they get to A. Sit down on the job and B. get a cardio-intense workout while sitting down on the job. I wanted to take a Theme Thursday and focus some time and energy on the dude (or chick) sitting at the back of the stage somewhat perched up higher than the rest of the band. Some drummers are well known for their drumming while others just drum and that’s cool too. 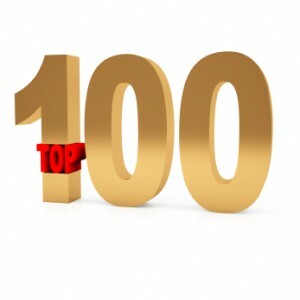 Some metal drummers have made a name for themselves in the business so I wanted to take some time to recognize them, but also note some drummers that you may have not heard of that deserve some recognition. Before there was DevilDriver, Dez Fafara was in an up and coming metal band called Coal Chamber. They made it a few albums before they dissolved and Dez moved on to the more harsh and thrash metal band DevilDriver. Something great rose up from those Coal Chamber ashes. Coal Chamber was different and somewhat quirky, but could still hit hard on many of their songs. Shock the Monkey is a cover of the original track recorded by Peter Gabriel. I thought it was a pretty good cover and as I was scrolling through my playlist I realized I rarely ever mentioned Coal Chamber. Not that I want them back, I do like DevilDriver. But Coal Chamber sure did carve out their own personality in metal. So here is Peter Gabriel’s Shock the Monkey covered by Coal Chamber. Have a great weekend.